Great news… I booked a six week trip to Eastern Europe yesterday. I am going with my brother Charles again. He was an excellent travelling companion a few years ago for Central America, so I am looking forward to this. We will arrive in Budapest on the 23rd of March, then work our way south to Greece and come back up to Budapest for me to fly out on May 4th, just in time to start work. I am hoping to get a new sleep apnea machine that is smaller for the trip. It also has the ability to work for one night on battery power, so this gives more flexiblity when travelling. 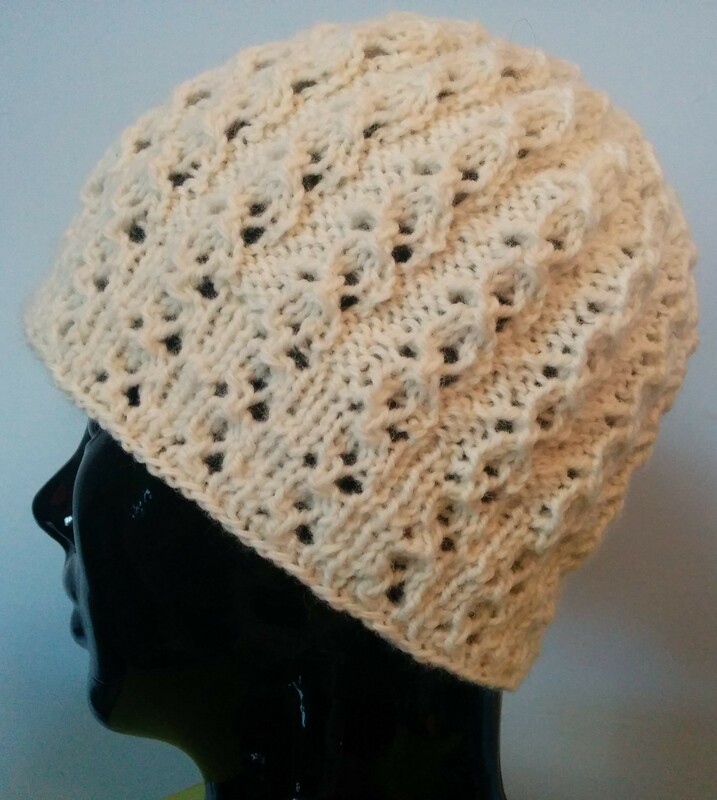 I saw the two Cloverleaf Eyelet stitches on pg 170 and decided to stack them on top of each other for this hat. The Cloverleaf Eyelet Rib was only a 6 stitch repeat as written and the Cloverleaf Eyelet Cable a 7 stitch repeat. I started knitting the Rib on the bottom and I was not happy with the way I was doing the ssk. Things turn out differently if you slip the stitches knitwise, purlwise or a combination. I ended up settling on slipping the stitches knitwise. I originally added an extra purl between the pattern repeats because I wanted the whole thing to go like a watchcap, so I turned the 6 stitch repeat into a 7. 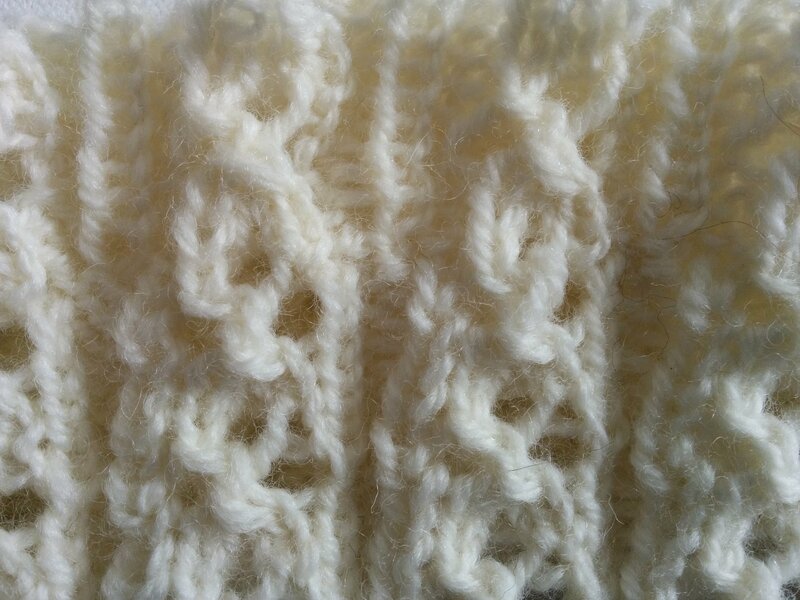 When I changed over to the Cloverleaf Eyelet Cable and did this for a while, I realised that I had actually increased to an 8 stitch repeat because Barbara Walker had added a knit stitch between each repeat that was not written in the instructions. I was not happy with anything so I ripped it back all the way. This meant that I basically knit the hat twice if you count both rip backs together. I decided that no matter what, I had dicked around enough and even if things didn’t match my vision, I was finishing anyway and moving on. I had cast on 108 stitches in the final time, this way I had 18 six stitch pattern repeats. I got rid of them by first reducing every third repeat. I did a sl 1, k2tog, psso over the cable , then every other row twice more. This left me with 12 repeats. I got rid of every other repeat the same way, then finally the last 6. 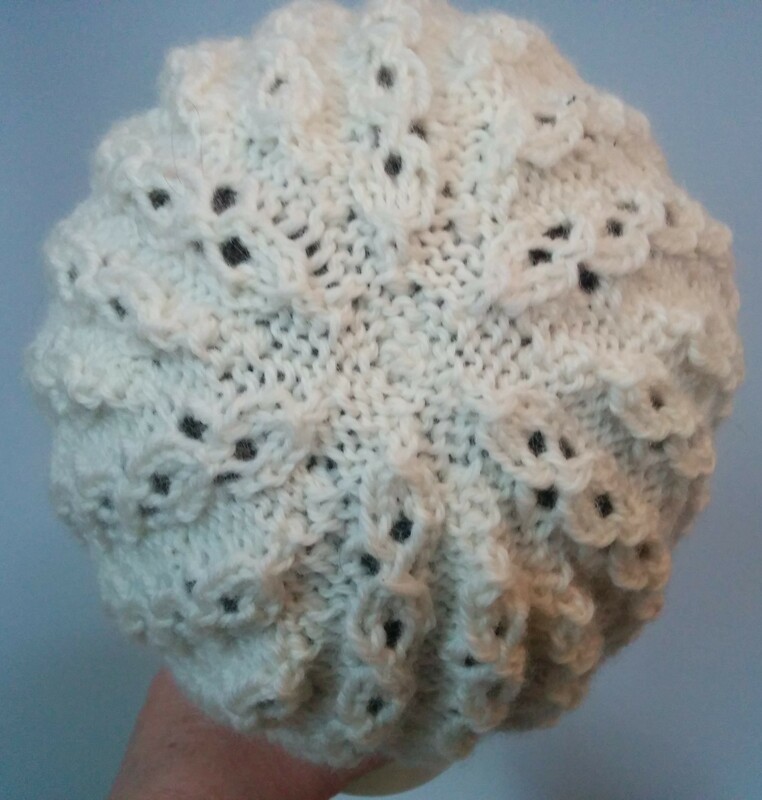 This entry was posted in Barbara Walker and tagged A Treasury of Knitting Patterns, Barbara Walker, knitted hat, Patons Classic Wool on January 27, 2016 by gillianknitter.